Paccar Inc. notched record quarterly revenue and soaring net income in the first quarter, benefiting from a truck market that continues to climb. For the period ended March 31, Paccar reported net income of $512.1 million, or $1.45 per diluted share, up 65% compared with $310.3 million, or 88 cents, earned in the same period last year. Quarterly revenue rose to a record $5.65 billion, up 33% compared with $4.24 billion in the 2017 period. The gain comes on the heels of Paccar’s fourth-quarter revenue of $5.45 billion, which at the time set a record. “Paccar benefited from record quarterly truck deliveries driven by strong market share and robust global truck demand as well as record quarterly parts revenues and pretax profits,” CEO Ron Armstrong said in a release. “In the first quarter, we had a favorable customer mix in terms of deliveries to dealers for stocking purposes as well as smaller fleets, and we’ll see more larger fleets in the second quarter,” he said during an earnings call. 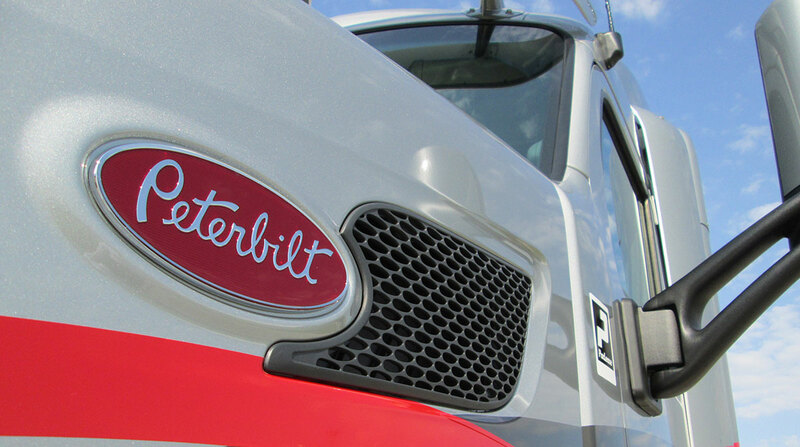 Paccar is the parent company of North American truck brands Kenworth Truck Co. and Peterbilt Motors Co. In Europe, it manufactures the DAF brand. “Surging truck and aftermarket parts demand, and excellent operational leverage from increased production, delivered truck, parts and other gross margins of 14.8%,” Chief Financial Officer Harrie Schippers said. The parts business generated revenue of $940 million, 19% higher than in the same quarter of last year due to the growing number of Paccar trucks and engines in operation, and its investment in distribution centers, among other factors, according to the Bellevue, Wash.-based company. It expects parts sales to increase by 10% to 12%. Industry demand and pricing for used trucks increased compared with the first quarter last year, Armstrong said. Paccar Financial continued to invest in the remarketing of Paccar trucks by opening its fourth truck remarketing center near Los Angeles. Looking ahead, capital expenditures this year will range from $425 million to $475 million. Research and development expenses of $300 million to $320 million are targeted for new truck models, integrated powertrains including electric, hybrid and hydrogen fuel cell technologies, and new product technologies for advanced driver assistance systems and truck connectivity. Additional investments also are being made to expand and enhance manufacturing and parts distribution facilities. Meanwhile, the company reported its North American truck orders in the quarter more than doubled compared with a year earlier. Paccar increased its forecast for Class 8 retail sales in the United States and Canada from 265,000 to 285,000 trucks. In its fourth-quarter report, Paccar forecast 2018 sales of between 235,000 and 265,000 trucks. Its forecast for the European above 16-tonne market was raised to a range of 300,000 to 320,000 units.